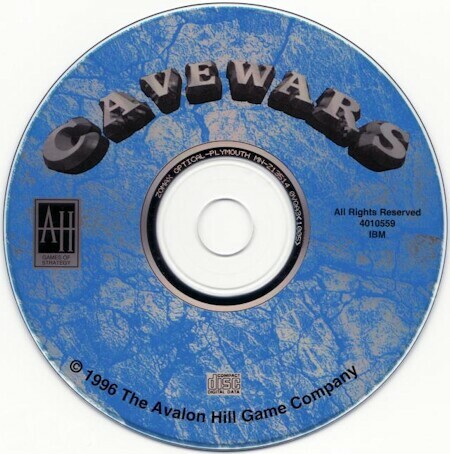 For those tired of the mid 1990s glut in real-time strategy games Cavewars was a relief. Cavewars is a conquest/research/resource management game that allows you to carefully plot the annihilation of other sentient species. It appealed to gamers who were more interested in substance over style in a computer game. Avalon Hill's foray into the fantasy genre allows you to mercilessly crush up to four other players in an unusual underground environment. What sets this game apart from the others of its era is the strategy. Since you (and your opponents) compete in a five-level world, you must maintain an awareness of what's going on in all places. Within this setting, you must mine metallic resources, develop technologies and magic, and build military units. 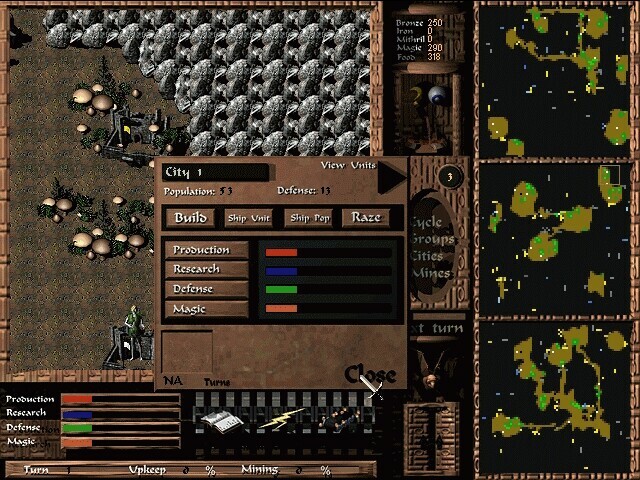 The game's interface is well-designed, and most of the game's many options are presented in a well-organized manner. The graphics in the main screen make good use of the SVGA mode. The sound effects are minimal, but the unearthly groans in the soundtrack certainly help put the player in the right frame of mind. Follow the instructions for the Quick Start - and prepare to die. If at first you don't succeed, try, die again. Cavewars does require some time for you to develop working tactics. An adjustable difficulty level ensures less time spent starting over. The whole three-dimensional concept adds flavor to the game. It brings to mind an enormous game of Star Trek's 3D chess…only with more killing and mayhem. Avalon Hill admits that the AI will not be confused with a sentient being. I agree - I spent several hours repeating Conan the Barbarian's mantra of "Crush your enemies, see them driven before you, and hear the lamentation of their women." One surprise was how the AI concedes defeat if its fortunes take a turn for the worse.